Where are you right now? Me? Right now, I’m in my pj’s, sitting in my computer room. I just finished my bowl of cereal, I’m sipping on my coffee and trying to get my brain to wake up. For some reason, writing helps it wake up properly. Otherwise it takes hours. So, I’ve just told you where I am physically. Now mentally, I could be anywhere. Most times, my mind is hours, days or even weeks ahead of the present moment (and sadly, even years at times). Where are you mentally? Of course, you’re reading this post, so you would think that you were here. But are you really? Or are you just reading the words, and thinking what you need to get done at work, or what to make for dinner, or even, what you’re planning to do for the weekend? So what do you do in times like this? There are lots which you can do. I’ll share with you some of the things that I have learned, some from the many psychology books I’ve read, and what has been shared by close friends and my therapist. As you can see, my mind was so far ahead, and I was so scattered. Just by writing it down, it allowed me to release the fear. 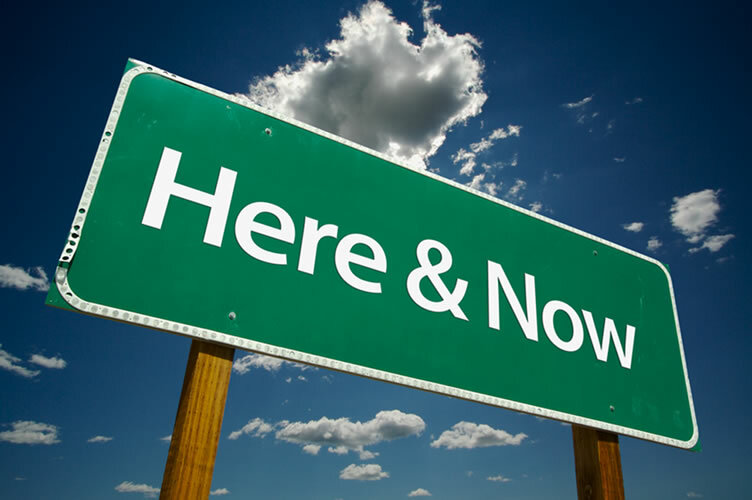 Another technique is to repeat “Right now, I am ….” or “At this moment, I am …..” Basically, what you are doing is bringing yourself back into the present, to what you are currently doing. This really works well, especially if you don’t have the ability to write anything down. Many times I find myself skipping ahead, and I say “Smartie, right now you are washing the dishes” or “At this moment, you are driving.” The mind always seems to drift when I’m doing something which doesn’t require much thought. And lastly, when I try to rein in my mind, and I have trouble doing so, I do the technique which my therapist taught me. She has me use three of my senses: sight, sound and feel. You would start off by listening to five things around you, the see five things around you and then feel five things around you. So right now, five things I hear are: 1. the punching of the keys to my laptop 2. the airplanes outside 3. my breath 4. the hum of my laptop 5. the car door being slammed. Five things I see are: 1. my laptop 2. the blinking light to my Blackberry 3. The sunlight shinning on the wall 4. my computer screen 5. my fingers moving as I type. Five things I feel are: 1. my fingers on the keys 2. the floor under my bare feet 3. the chair supporting my lower back 4. my hair tickling my face 5. my breath on my lip. And so you would repeat this again, but this time naming four items and then three and then two and so on until you reach one. It’s ok to repeat items as well. Once you get to one you’ll feel so grounded and in the present moment. It’s so calming. I even find that I use this technique when I’m having trouble sleeping, as most times I’m usually thinking of something. So, now after reading this, I’m going to ask you again. Where are you right now? Me? Right now, I am HERE.